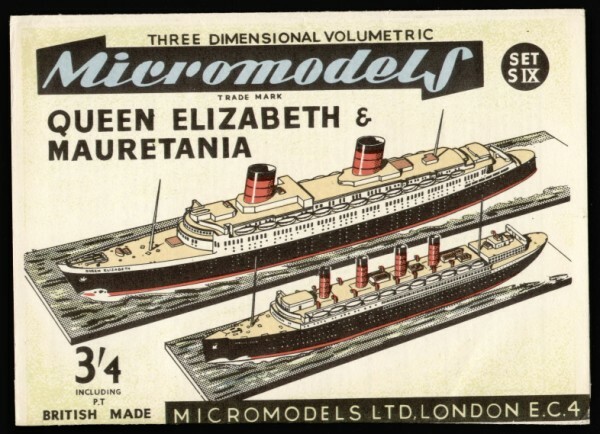 Description First issued in 1953 at 3/4d. Out of print in 1954. Reprinted in 1955 at 3/4d. 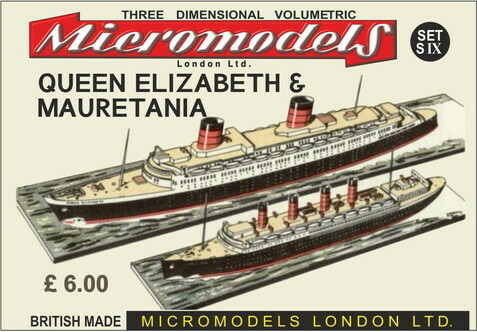 The late 1952 catalogue informs us that the original intention was to have the set S IX purely as the Queen Elisabeth, whilst the Mauretania would have been set S XI. 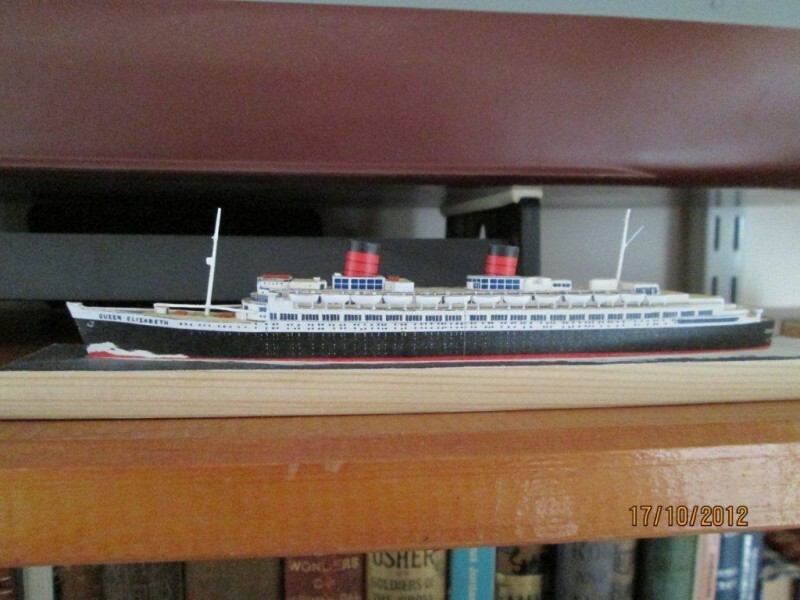 This is the fourth model in the Coronation Set for the Coronation celebrations of 1953. 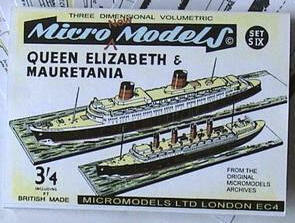 Autocraft has published this model as the usual packet with cards and a wrapper. 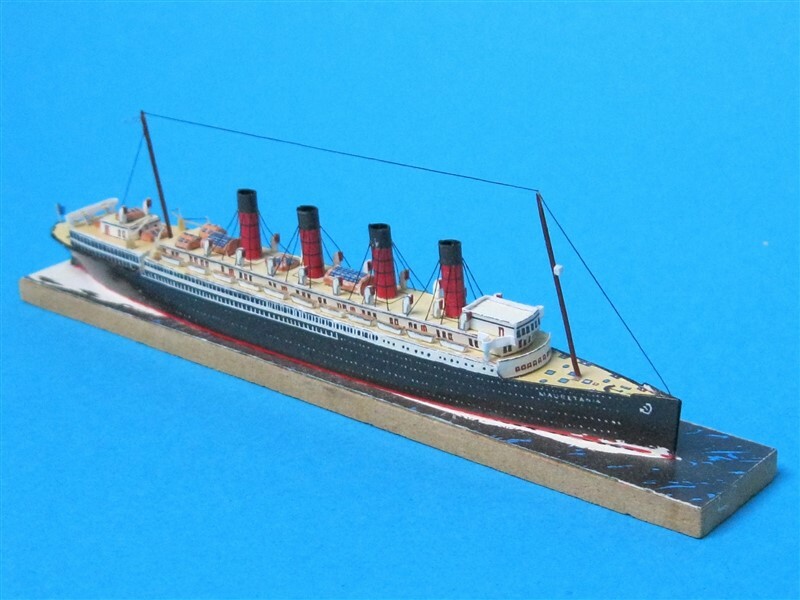 Micromodels London has designed a wrapper, and has the intention to publish the model in the near future. 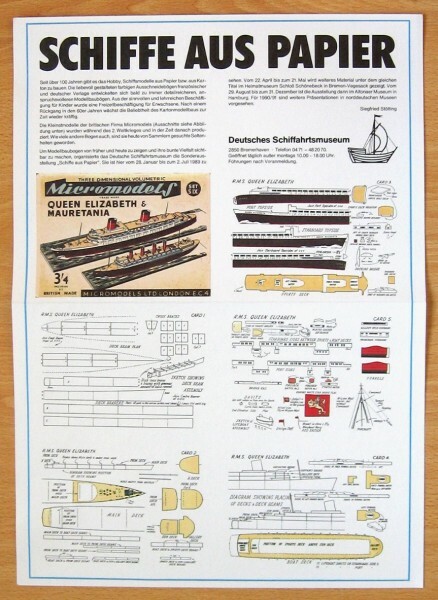 The Deutsches Schiffahrtsmuseum (DSM) has published set IX on one large sheet. 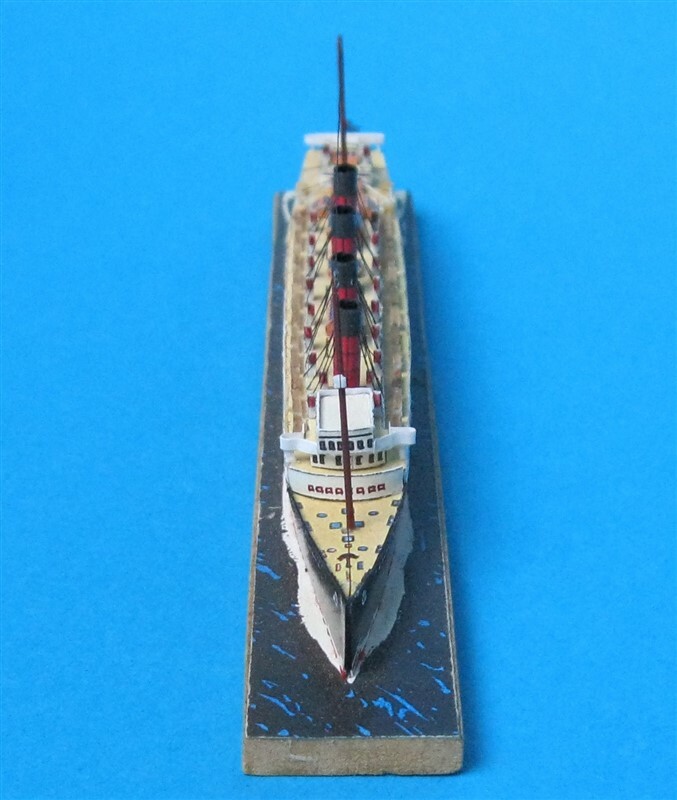 Only the Queen Elisabeth is printed, but without the base strip. 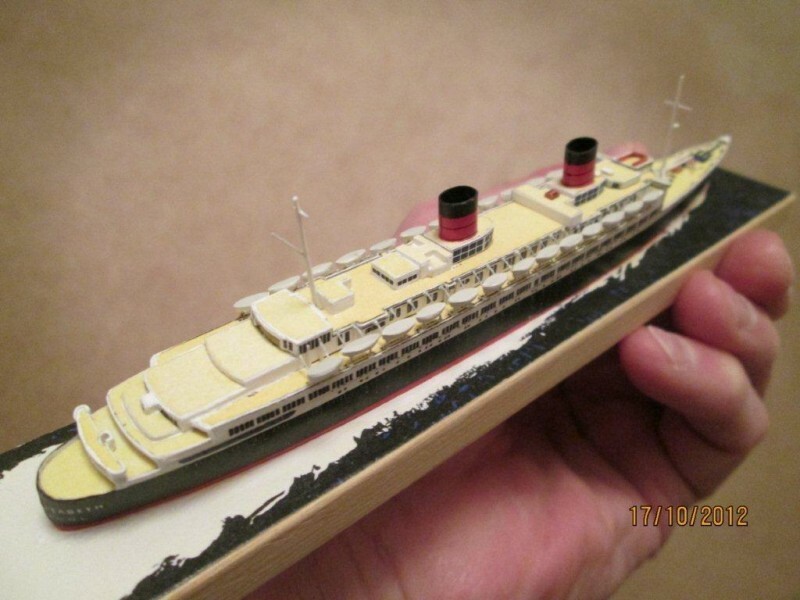 The Queen Elisabeth built below by Chris Palmer has 26 life boats carved from wood, stuck to 52 davits made from fuse wire!